(NORTHRIDGE, Calif., July 20, 2017) — Knowing that up to 70 percent of residential water is used for landscaping, it’s no surprise that conscientious homeowners are looking for efficient irrigation methods to minimize water waste, and lower household water bills. Although Governor Jerry Brown declared an end to the drought emergency in April, water continues to be a limited resource and water conservation is becoming a way of life in Southern California. 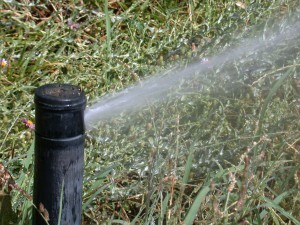 Of the many types of irrigation systems available, how will residents know which are the most water-efficient, and which work best? And, which Los Angeles Department of Water and Power (LADWP) and Metropolitan Water District (MWD) rebates are available to help with the cost of upgrading to these irrigation systems? According to Brenda Kanno, manager of the CSUN Botanic Garden, the “Water-Wise Ways for the Home Garden” class is designed for homeowners seeking answers to these questions. 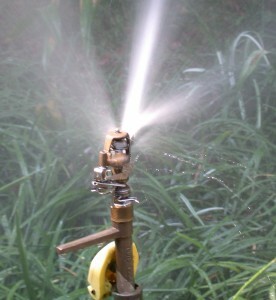 “This is a class for anyone who has irrigated landscaping at home, those with existing systems but need to use them more effectively, and those who want to upgrade in the most cost effective and water-efficient manner,” Kanno said. Wade Andersek, an instructor with Green Media Creations and teacher of the Metropolitan Water District’s California-Friendly Landscape Training (CFLT) and Residential Turf Removal Training (RTRT) classes, will share his expertise on water-saving methods in the Saturday morning class. CSUN’s Botanic Garden is operated by the university’s biology department, and serves as a field site for botany, entomology, photography, painting and other classes. In addition to geographically themed plantings and a butterfly garden, the garden also features greenhouses where noteworthy botanical specimens are grown. The garden is open to the community. Visit the Botanic Garden website at www.csun.edu/botanicgarden for more information.